Best Hosting Review 2019: Is Best Hosting a Good Hosting? Best Hosting is a budget brand with a strong offering. Whilst you might not get as much support as with higher-end brands, you do get some advanced features from a provider with its own data center. Best Hosting is a Czech hosting provider that has been in business since 2009. 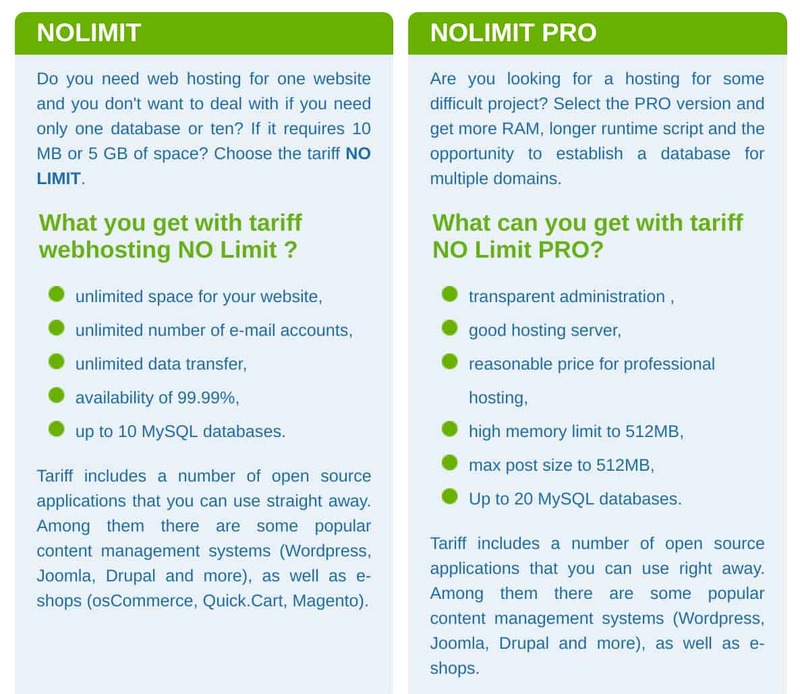 This relatively young company claims to provide the cheapest hosting in the Czech Republic. Their website is available in Czech and English, although the English translation doesn’t work perfectly on all pages. Best Hosting owns its own data center located in Hradec Kralove, Czech Republic. This is always good to see since it should mean faster response times to technical issues and less chance of them overselling their resources. Robust Dell servers allow them to offer a 99.99% uptime guarantee, although this is not backed by a service level agreement. Best Hosting offers two unlimited shared hosting plans in addition to two smaller plans. The plans come with unlimited data and bandwidth (subject to the usual fair usage restrictions) and unlimited subdomains, FTP accounts, and email accounts. They also provide pretty good resource quotas all round. In addition to comprehensive resources, there is also support for PHP versions 5.6 through 7.3 but (unfortunately) for no other advanced scripting languages. Cron jobs are enabled so you can schedule scripts, and you get unlimited FTP accounts. With the higher package, you get SFTP but not SSH access. If you’re looking for beginner features, you’re less lucky. There is no website building tool, but you can have your choice of CMS (WordPress, Joomla, or Drupal) pre-installed if you select this at the checkout. Best Hosting’s prices are some of the best around. A comprehensive plan with unlimited resources and lots of expert features can be yours for a small monthly fee. You get a .cz domain for free, but you’ll have to pay for any other domain extension. SSL certificates cost extra, too. You can phone or email the billing and technical departments for support from 8.00am to 4.00pm, Monday to Friday. Already signed-up users are encouraged to log in to their control panel to submit a ticket for a faster response. It’s not really worth me mentioning this company’s minimal FAQs page, but heck, I just did. Although Best Hosting does not appear in the top 30 list of Czech hosting companies by market share, I am impressed by their feature-packed plans that offer unlimited resources. Beginners don’t get a website builder but do get their chosen CMS installed. Wondering how Best Hosting stacks up against other Web Hosting companies? Enter any other Web Hosting company and we will give you a side-by-side comparison.